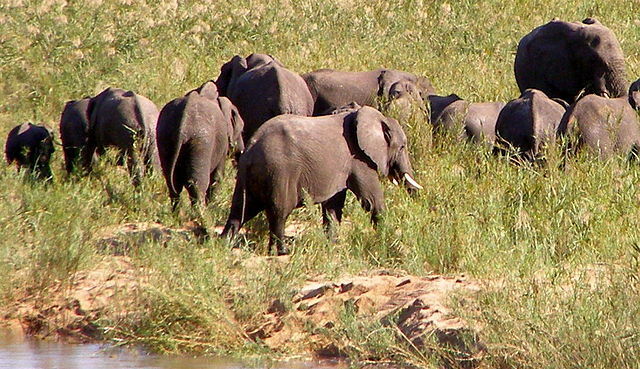 the tragic sight of many Elephant deaths by poachers. Always there when we need them, our US Marines from North Carolina’s Camp Lejeune, are now using their talents to help stop the slaughter of elephants in Chad. This specialized team of US Marines, has just landed in Chad to begin training local Park Rangers in the long suffering, ugly war against elephant poachers near and around one of Africa’s last sanctuaries for them, in the Zakouma National Park in South East Chad. The elephant ivory pillage and plunder in Africa has decimated and devastated the population, nearly to the brink of complete extinction. The prior elephant numbers here were once over 4,000, but now hover at just around a paltry, sickening 500.